To avoid the pitfalls of getting people form A – B why not think outside the square and pull your collective power into getting transport arranged with a Party Bus hire. Whether it’s a work function, Christmas function, school event or a large group of friends on your way to an event, Party Bus has the transport hire option to suit your needs. Party Bus specialise in getting people where they need to go, with a range of vehicles starting from a small 20 seater, to mid range 50 seater and right up to our huge 75 seater. Experienced in big passenger movements to safely move hundreds or thousands of people around Party Bus are a trusted provider who can get your team there and back, comfortably and safely. Add VIP treatment for clients and make an event special? Party Bus have a number of premium coaches for hire. The VIPER Limo Coach is the ultimate in style and guaranteed to impress even the most discerning of clients. With lounge seating, bar facilities, personal host, onboard toilet facilities and much more this vehicle won’t fail to apply a lasting impression and deliver a touch of class to your event. Viper can seat up to 26 people and is designed with luxury in mind and definitely sets the bar for travel in style. For a trip that’s more fun and less boredom, Viper is the option for you – fully licensed and with your very own onboard host to serve as bar person and tend to your needs. Viper is less coach and more of an experience. Need to get to the Rugby? We have a range of buses to hire and chances are that Party Bus will have the bus you need. Whether it’s a small group of 20 or less or a larger group of 50+ we will have a bus hire solution for you. We can organise the perfect bus or coach to get you and your staff, clients or friends to the big game and home again. Need a testimonial on our abilities? We were involved with transport for the Rugby World Cup – if we can handle that, we can handle transport to any other game here in Auckland with ease and professionalism. If you are planning a school camp, or have an out of town conference to attend, or simply have a group of friends wanting a trip out of Auckland… then we can arrange that for you – the transport that is! We have coaches and party bus coaches in our fleet for every event and occasion. We offer competitive pricing on all our vehicles depending on the size of your group and your choice of bus or coach. If you’re set for a longer journey then we would suggest you look at our single level Voyager coach. It’s single level with toilet facilities and seats up to 46 passengers. 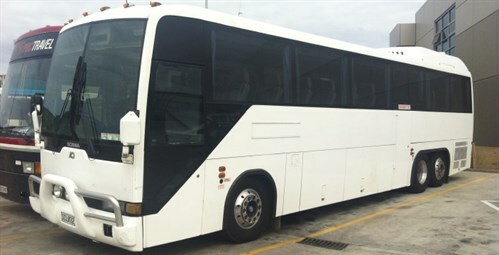 If however you’re looking for something bigger then the Double Decker Coach which can seat up to 75 passengers is perfect for you. Both offer luggage capacity and excellent sound systems to keep the troops entertained on the long trip. Are you a school, looking for a coach? A bus to charter? The option for you will be our Silver Fern Coachlines brand. 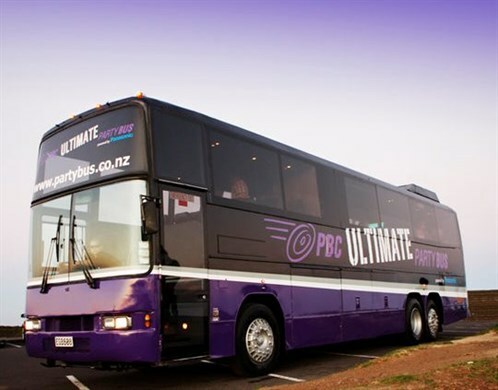 Silver Fern Coachlines is owned and operated by The Party Bus Company Ltd but focused on our non-party related bus and coach hire. We operate school runs and charters plus coach and out of town hires. With a 36 seat charter bus, this new addition to the fleet is perfect for corporate transport to and from events, school charters and any situation where you need to get a group from A – B. We also have a 46 seat tour coach available, with plenty of luggage, seatbelts for all guests and has toilet facilities for your comfort. 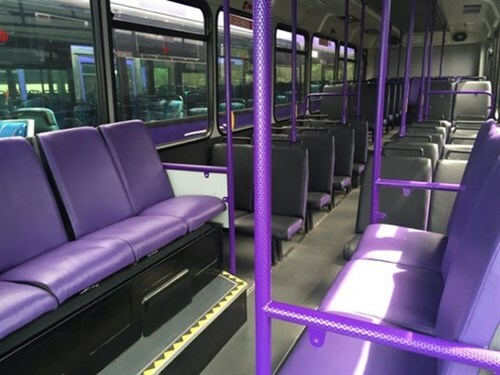 No matter what option you need, party focused or not, we have the bus hire to suit you. Designed to fit multiple needs and budget ranges, our buses, coaches and charters are ready and waiting to get you moving. Simply call our team and start the enquiry process, find the coach for you, book your transport and you’re on your way.